*This post contains both products purchased by me, and products sent for consideration. I do not get paid to write reviews. All opinions are my own. Even though it doesn't feel like the 90's was that long ago, sadly it was. I am a true 90's kid. I don't know if it is because this is the decade of my youth, but 90's music, makeup, and fashion are still things I love. As a teenager I did some modeling. At the age of 13, I attended Barbizon Modeling Academy where I was first educated on proper makeup application. 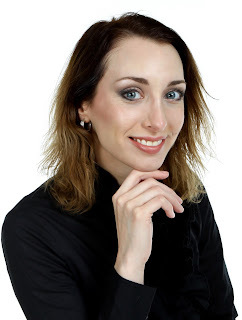 Despite the years that have gone by, and the numerous makeup lessons I have had and taught since then, I still remember all of the advice given to me in that very first class. 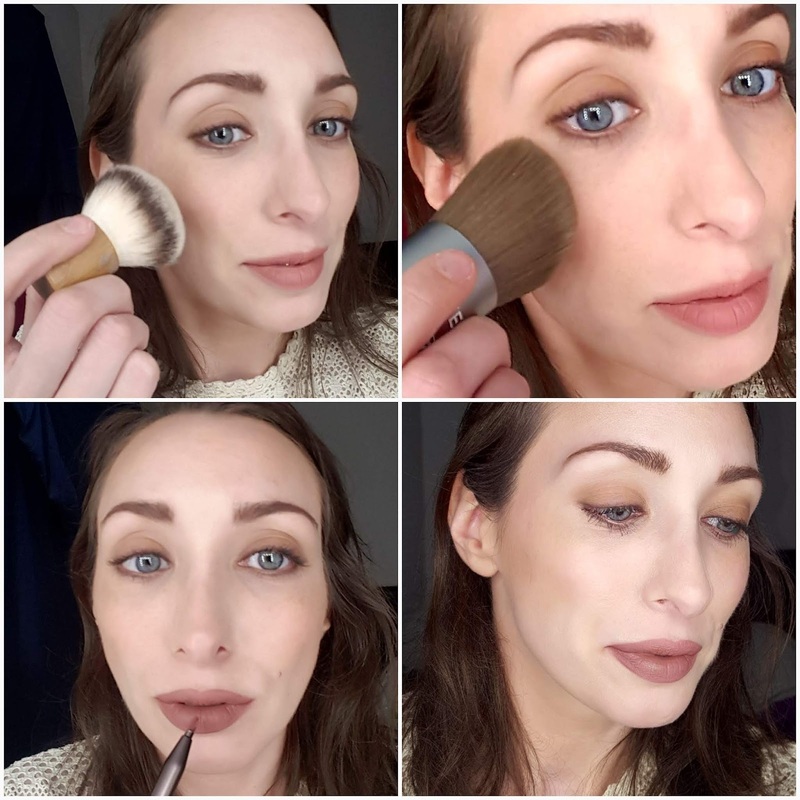 I absorbed the makeup knowledge like a dry beauty blender, soaking up as much as I could. Skincare is important. This was the primary point that was driven into us repeatedly. Ever since that day, I introduced a serious skincare program into my daily routine. 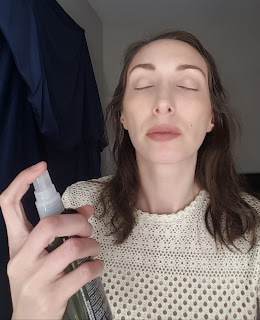 To start this makeup look, I cleansed my skin, and then use my Aveda Botanical Kinetic Toning Mist. This product removes surface oil buildup, which is perfect since I am looking to create a matte base. Prime & correct. In the 1990's we didn't wear highlighter, dewy skin wasn't a thing, and matte was where it was at. To help achieve a matte base I applied Hourglass Mineral Veil Primer. Then, I applied a yellow color corrector under my eyes to cancel out the purple tones. Green color corrector was applied to cancel out any redness in my skin. 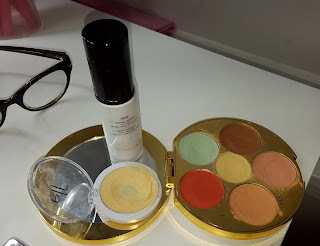 Some of the first color correcting products that I used were from Physicians Formula. 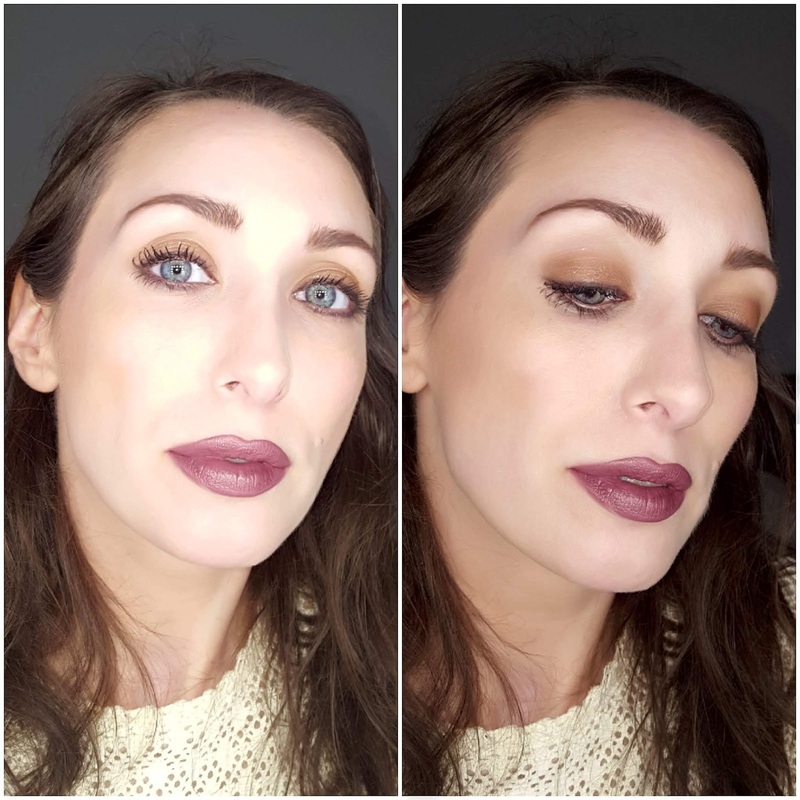 For this look, I used a palette from Tarte Cosmetics. 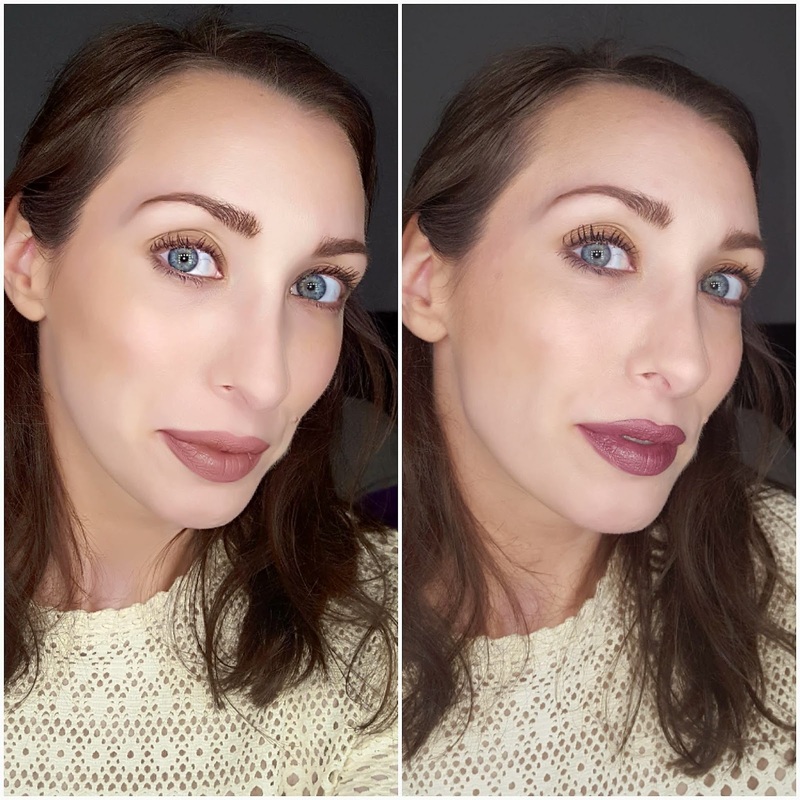 Physicians Formula and E.L.F. Cosmetics make great affordable options if you are looking for something a bit more budget friendly. Even out the skin. Again, sticking with the matte theme, I chose a matte foundation for my base. This one from Hourglass is quite full coverage. While I didn't really need a separate concealer, I applied some in areas that I wanted to add a little more light. I used these products quite sparingly, as the skin in the 90's was very fresh looking. If you need to spot conceal, the below one from Hourglass pairs quite nicely with their foundation. 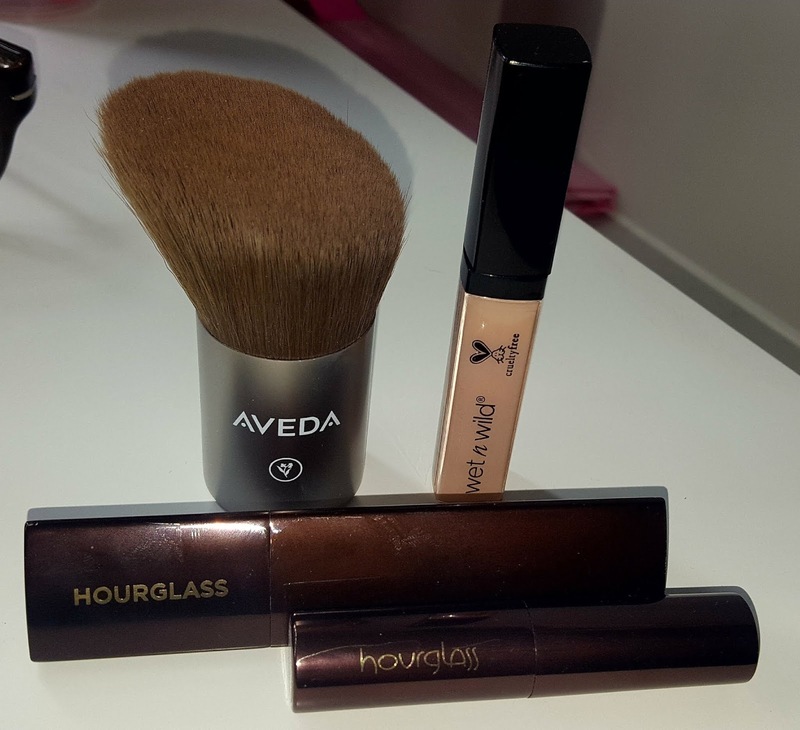 I blended all of these products together with my Aveda Inner Light Foundation Brush. I have been in love with this brush for applying my base because it truly helps create a flawless airbrushed look on the skin. Earth tones help add color to the face. In the 1990's I was taught that any makeup added to the face for color should only be colors found in nature. This is a sharp contrast from the bold hues of the 1980's. First, I set my base with a translucent setting powder by Nuance Cosmetics. My first makeup brush set that I received at modeling school contained a powder brush, a blush brush, a contour brush, an eyeshadow brush, and a lip brush. However, I was taught to use the smaller blush brush to apply setting powder, and the larger powder brush to apply blush. For my makeup look, I applied powder using a puff, because that has become my preferred method over the years. I knocked off any excess with a brush. 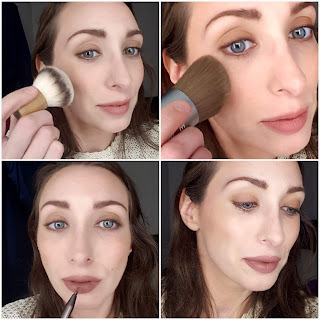 Then, using a matte earth-toned brown, I applied color with a tapered brush to contour my cheekbones. While I don't recall doing so in the 1990's, I did fill in my brows for this look. Brows were quite thin back then, so I used a very fine brow pencil, and tried not to thicken my natural brow shape at all. 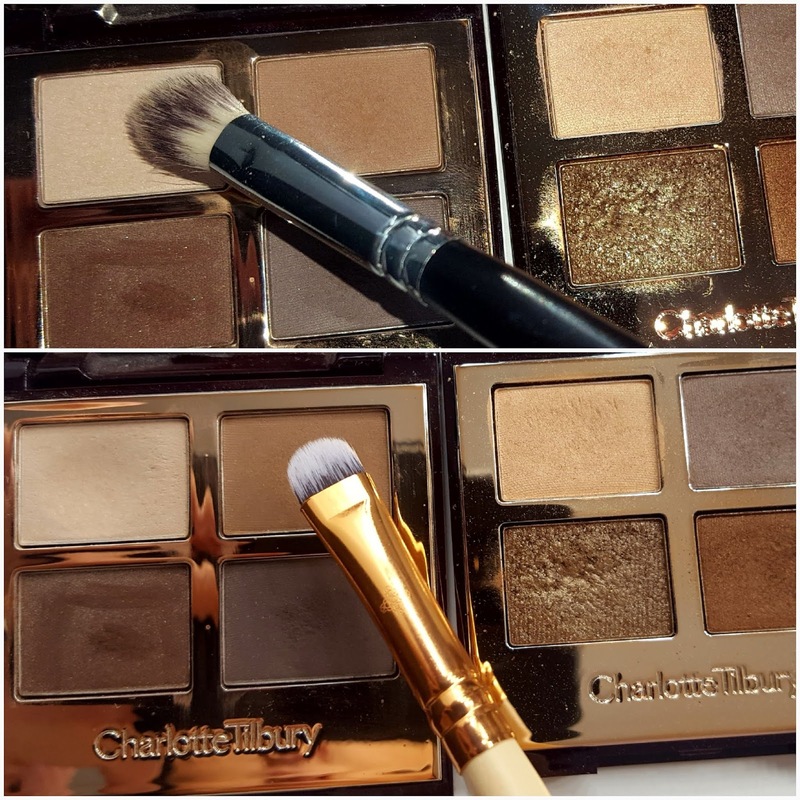 For eyeshadow, I chose an all matte palette from Charlotte Tilbury called The Sophisticate. 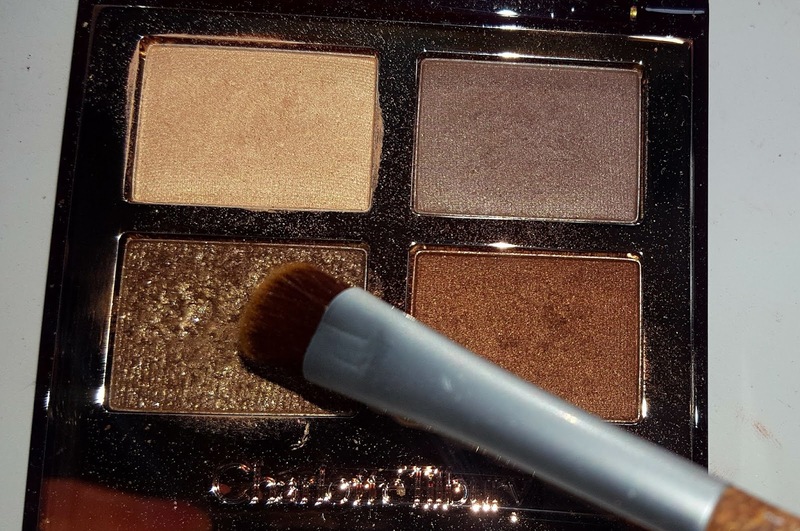 This palette has exactly the shades of brown that I recall supermodels wearing in the 90's. To begin, I chose the cream color from the palette, and applied it allover the lid as a base. Then I added the lighter brown in the palette allover the eyelid with a flat brush, blending the edges with a fluffier brush. I used a brown eye pencil from Hourglass, keeping it very close to the lash line. I tightlined with it, applied it to the waterline, and dotted some along the lower lash line. To set the lower lash line, I smudged the same matte brown shadow over top. Unlike today, winged liner, and obvious bold liquid liner was not so popular. 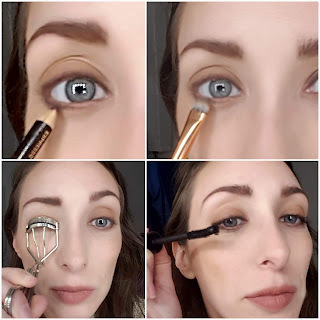 Eye liner was brown or black, but always worn very close to the lash line. I curled the lashes and applied some mascara, steps that seem popular regardless of the decade. Raisin, brown, and dark colors were common lip colors worn in the 1990's. I loved the various raisin and brown lip colors so many women wore. Due to my very fair complexion, I couldn't pull off some of the darker shades of brown that I loved so much. To see how dark of a color you can get away with, I recommend applying your blush first. In the below Tarte Cosmetics blush palette, I used a mix of the first shade and the last shade, using a light hand and a large kabuki brush. 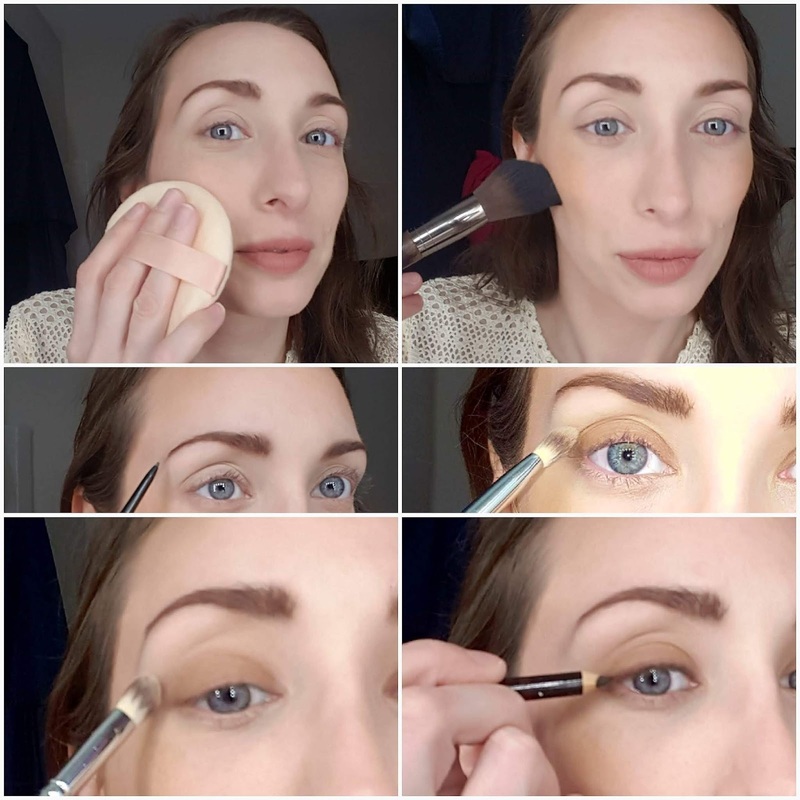 To blend my face makeup, I picked up my Aveda Inner Light Foundation Brush and went over the edges of where I applied my blush for a more natural appearance. For lips, I chose the aptly named lip liner and lipstick from Urban Decay called 1993 (a matte medium brown). Most of the lipstick choices then were a matte, demi-matte or cream formula. This completes my "day" version of the look. A look like this might be something I would have worn to work in the 90's. To amp it up a little bit for post work cocktails, a little bit of golden shimmer on the lid, darker liner and a vampy lip should do the trick. I used Charlotte Tilbury Golden Goddess eyeshadow palette. On a damp flat brush, I picked up some of the gold metallic shade from the palette and applied it to my eyelid right over the matte brown I applied earlier. This created a very subtle shimmer on the eyes, but kept the look neutral. Using a black pencil from Physicians Formula, I darkened my eyeliner, applying it over the brown liner applied previously. Adding extra mascara is always a nice touch for evening. To darken the lips, I used the same Urban Decay Blackmail Vice Lipstick Palette. This time, I chose Amulet (metallic brick rose) and Blackmail (matte burgundy), applying them with the lip brush included with the palette. While metallic lipsticks were not popular in the 1990's, mixing the two matte shades (1993 & Blackmail) with just a touch of the metallic (Amulet) helped create more of a cream finish, still giving me the color that I desired. I hope you enjoyed this 1990's inspired makeup look. Please let me know if you would like to see makeup looks created from other decades as well. Don't forget to follow me on Twitter @MakeupMatters1. Pink Makeup Looks I Love!